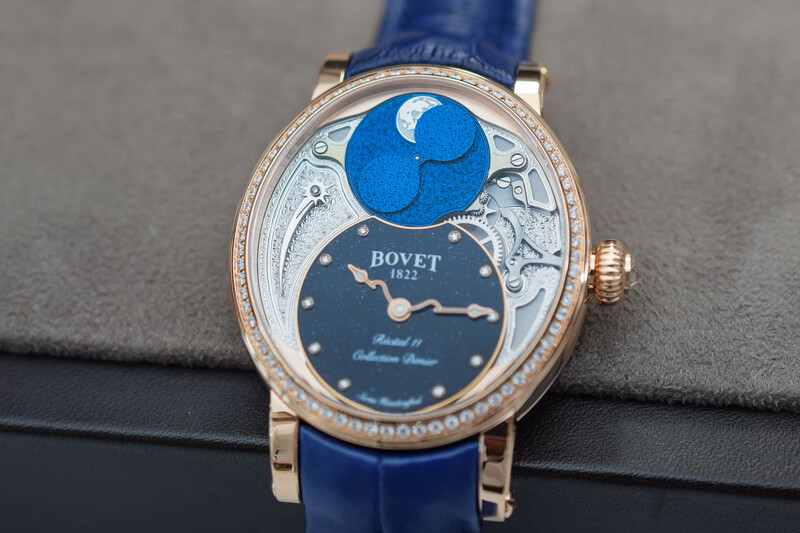 An ode to the Moon in blue, Récital 11 showcases Bovet’s dominion of decorative arts and in-house complications. 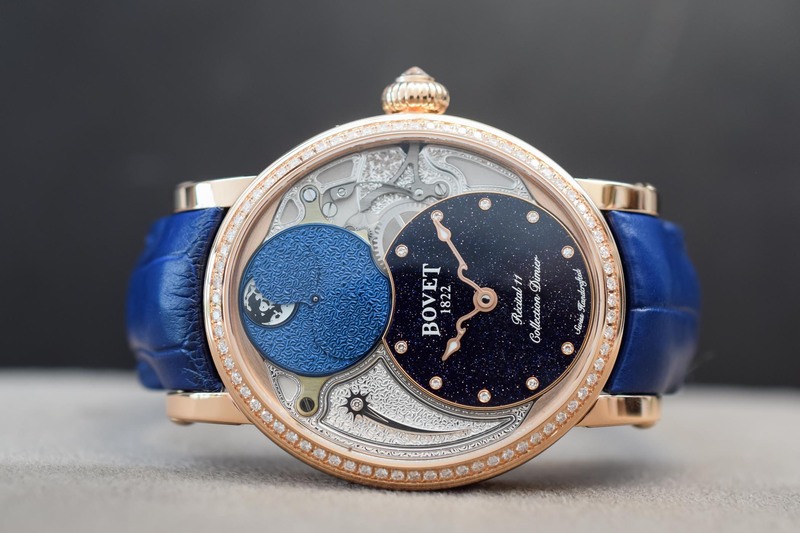 Shattering the prevailing opinion that women just want a pretty dial and couldn’t care less about mechanical complications, Bovet presents a timepiece that seduces on the mechanical and aesthetic fronts – and how! 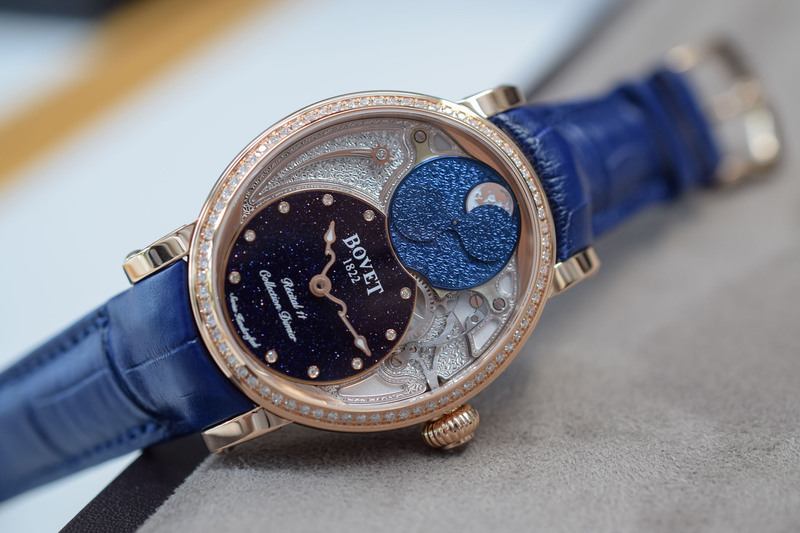 Complicated yet feminine, poetic but not affected, Bovet’s red gold version of the Dimier Récital 11 Miss Alexandra puts on a blue-hued show of the phases of the moon. 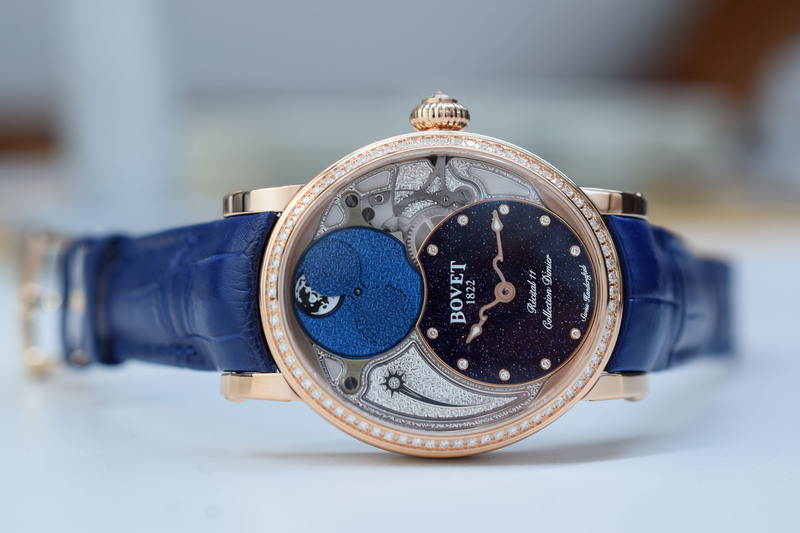 Equipped with a precision moon phase mechanism developed by Bovet, and displaying some of the most refined artistic finishes in watchmaking, this watch is a wearable piece of horological art. Bought by Pascal Raffy in 2006 with a quest to convert the historic brand into a temple of decorative arts and Haute Horlogerie, Bovet is very much a niche brand. Like Jaquet Droz, Edouard Bovet focused on the Chinese market and by 1822 was supplying the Imperial Court with richly enamelled pocket watches set with pearls and precious stones. Such was the admiration and success of Bovet in China that the founder’s surname became synonymous with the word ‘watch’ Bo Wei in Chinese. Many of Bovet’s sumptuously decorated pocket watches and richly engraved movements are museum pieces and the high degree of ornamentation led Edouard Bovet to create the first transparent casebacks. Much to the delight of collectors, about a third of the pieces are one-off treasures and production is limited to around 2,000 watches a year. Because of its high level of vertical integration – with its own movement and dial manufactures – Bovet is currently able to craft about 85% of its calibres in-house. The Dimier collection, to which the Récital 11 Miss Alexandra belongs, is conceived and constructed entirely in-house at Bovet’s Manufacture de Haute Horlogerie Artisanale DIMIER 1738. Characterised by a crown at 3 o’clock (as opposed to the majority of Bovet’s collections with crowns at 12 o’clock) the Dimier collection is populated by tourbillons, jumping hours, triple time zones all the way up to the spectacular Récital 22 Grand Récital, a 9-day flying tourbillon, tellurium-orrery and retrograde perpetual calendar. 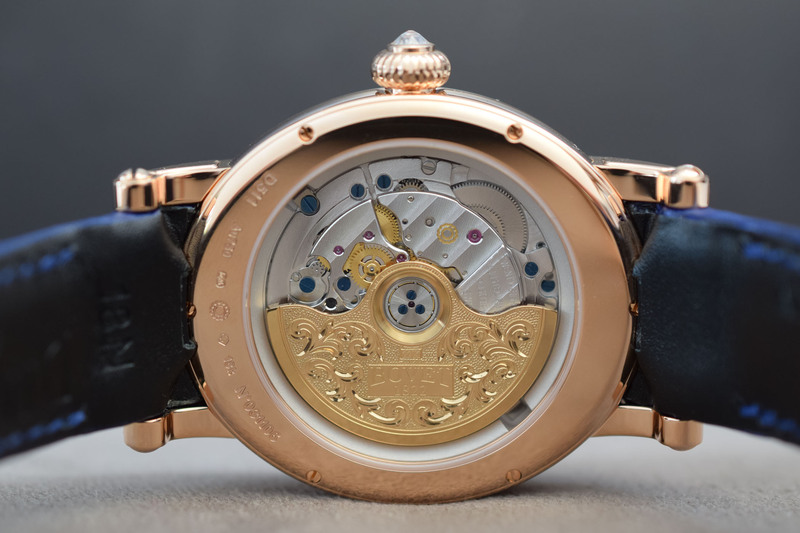 The Récital 11 we are reviewing follows in the footsteps of the 2013 Récital 9, a 7-day tourbillon and moon phase model that marked the brand’s first oval-shaped watch case for women. 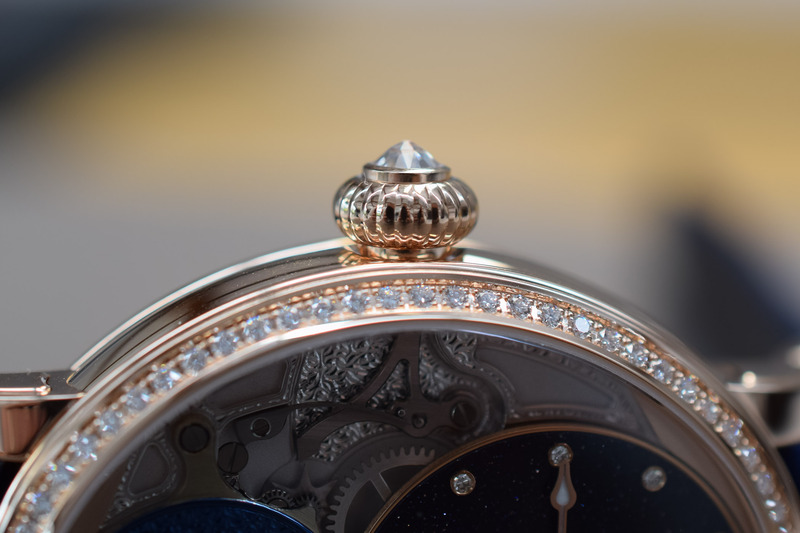 Like Breguet’s royal Reine de Naples timepiece, the Récital 11 is housed in an egg-shaped case that, in my opinion, is one of the most flattering and feminine of shapes. Measuring 41mm in diameter, the watch is large, but who would want anything smaller when there are so many beautiful details to admire? Crafted in warm 18k red gold, the oval case is set with 58 round-cut diamonds on the bezel and briolette diamond in the crown. Winding the watch with the large fluted crown is a real pleasure. 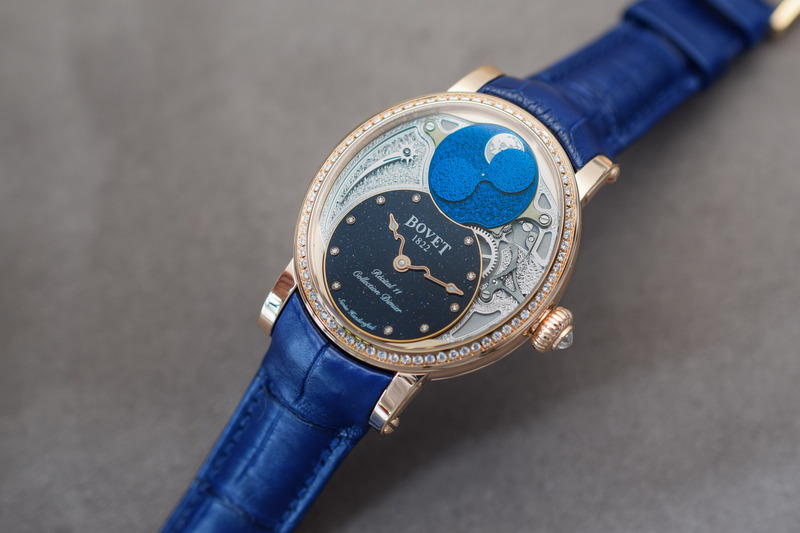 Instead of the traditional corrector on the caseband to adjust the moon phase complication, Bovet has integrated the corrector directly into the crown (the diamond, in this case) avoiding problems of water-resistance and fiddly corrector tools, as well as respecting the pure and polished contours of the case. This is where things get really interesting. Packed with details, the dial is a showcase of Bovet’s refined artisanal and artistic handiwork. Starting with the protagonist, the moon is rendered with a high degree of realism and the exact cartography of our celestial neighbour has been engraved on a mirror-polished steel plate. The craters of the moon are filled with a luminescent substance and the sky surrounding the moon is engraved on a blue PVD-treated nickel plate that appears to be twinkling with stars. 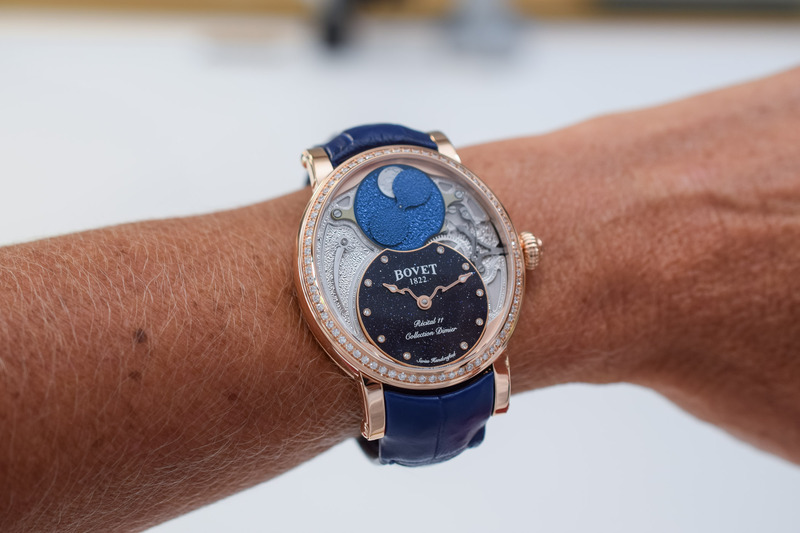 Unlike traditional moon phase functions with two moons on a moving disc, Bovet uses two pallets (like lollipops) that move over the fixed Moon. Fitted with a precision moon phase module, entirely developed and manufactured by DIMIER 1738, it will only require a one-day correction every 122 years. As you can see, blue is the thematic colour of the dial but is used in different shades to denote different functions. The background sky and pallets that hide and reveal the Moon are picked out in an almost electric metallic blue, hand-chiselled with a bris de verre (shattered glass) motif. 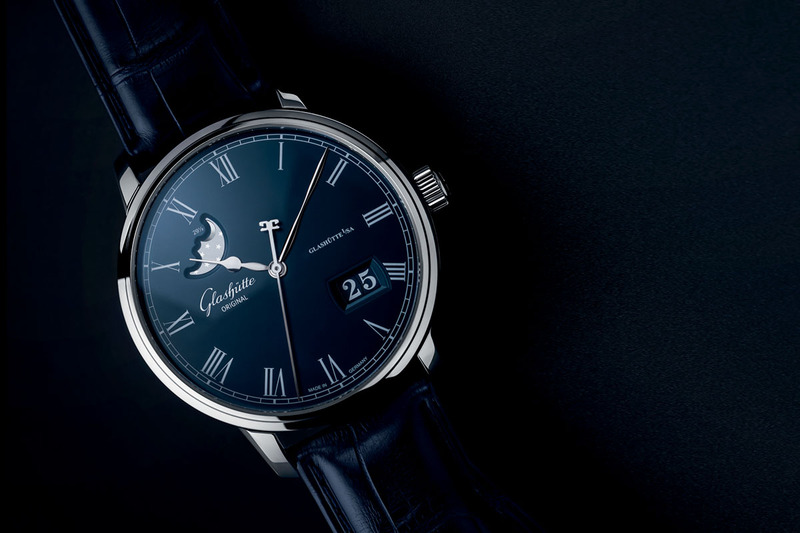 Forming an elegant figure eight, a bit like Jaquet Droz Grande Seconde family, the lower half of the dial features the hours and minutes disc in a much darker, almost midnight-blue tonality. Carved from translucent blue aventurine glass with ten diamond hour markers, the hours and minutes dial recreates a sparkling, star-studded night sky. But there is another detail that cannot be overlooked. The hands, with their squiggly shape and rounded arrow tips, perform a romantic gesture every hour. When the minutes hand rests on top of the hours hand, the combined shape forms a heart! 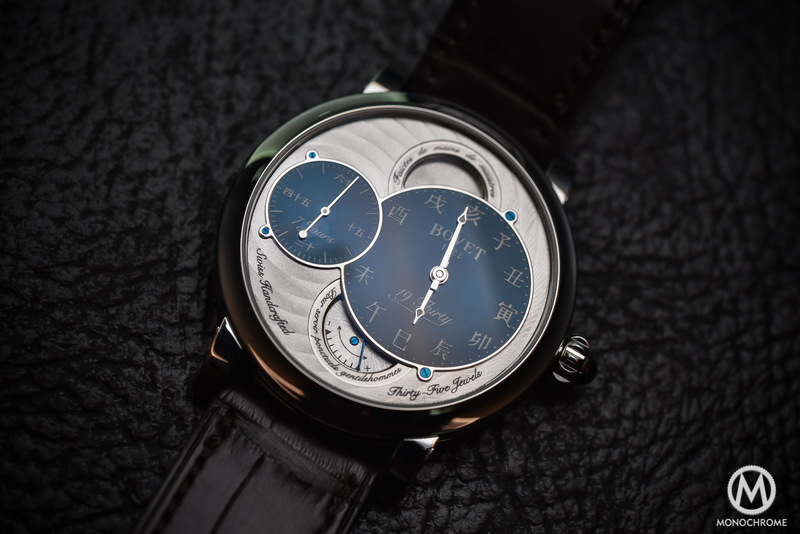 Behind the time and moon phase functions is a richly hand-chiselled background with a shooting star on the left (crowned with a diamond) and a view of the hand-chamfered and polished steel levers and jumper spring of the moon phase corrector on the right. Winding the watch with the large gold fluted crown is a real pleasure, but watching the mechanics responsible for resetting the moon phases jump into action is a true spectacle. 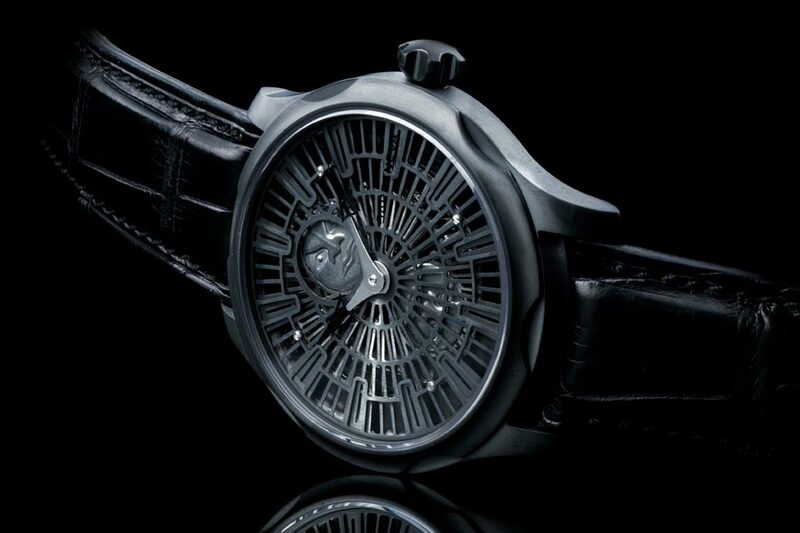 The reverse side of the watch offers more aesthetic pleasures and reveals the mechanical self-winding movement – calibre 11DA16-MP – with its generous 72-hour power reserve. Paying homage to the founder’s predilection for hand-engraving his movements with floral motifs, the 22k gold rotor displays the classic Fleurisanne engraving for which the House is famous. 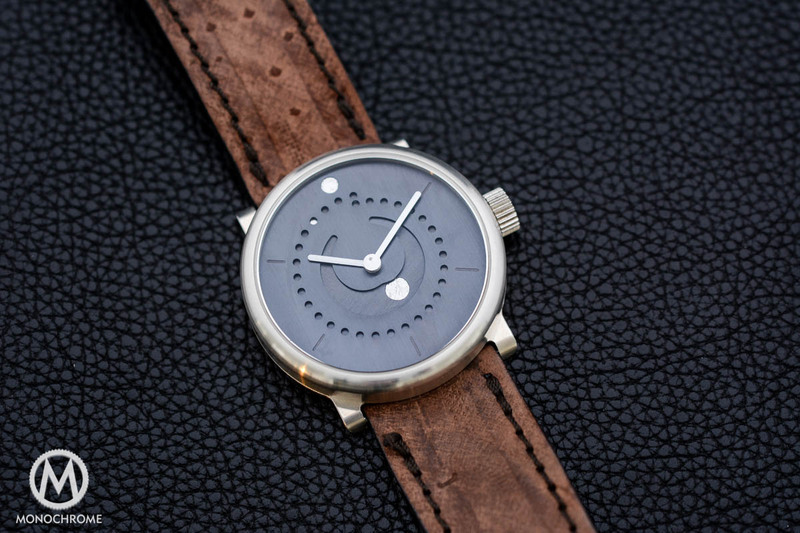 Naturally, the blue motif of the dial is carried over to the movement with the inclusion of blued steel screws. As you can tell, I am bewitched by this timepiece. I love the generous case size, the realistic rendering of the Moon and the celestial blues, but what really gets me going and makes me extremely happy is that some brands are finally listening to women who enjoy complications, who enjoy mechanical wonders but still insist on beautiful, feminine objects. The Dimier Récital 11 Miss Alexandra is also available in white gold and with baguette-cut diamonds. 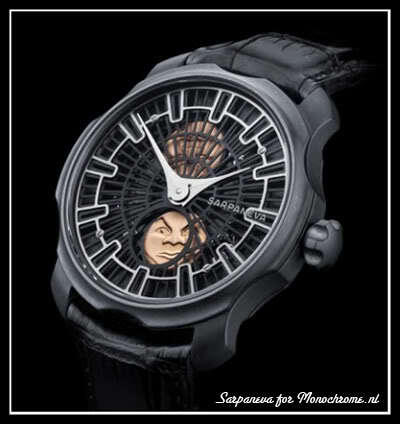 It can also be ordered without diamonds and with a hand-chiselled case to match the decoration of the movement. Presented on a blue alligator strap, the 18k red gold model with diamonds is attached to the wrist with an 18k red gold ardillon buckle and retails for CHF 44,000. For more information, please consult www.bovet.com.